Well well well, here we are. 100 reviews. When I started reviewing properly on r/Scotch back in October, it was after having a bit of an off period with reviewing. I wanted to write about and review whisky but didn't want to start my own blog (yet!). This community was perfect because everyone contributes and helps each other, but importantly doesn't take itself too seriously. NOW, onto the whisky before I get too teary. 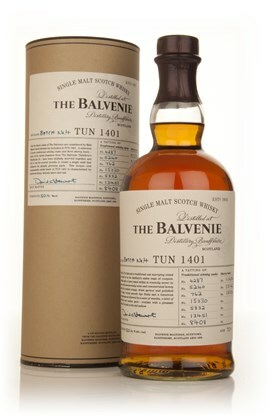 This is a whisky that has been raved about quite a bit, not least on r/Scotch. This batch is from 7 American Oak Barrels and 3 European Oak Sherry Butts. Rumour says the youngest age would be about 24 years old. Nose: Classy. Intense. Complex. Dried orange, orange oil, orange peel, dry European oak, complex spice, antique polished mahogany, shoe polish, beeswax, crystallised honey. Perfect balance. Water: More ethereal. More floral, more honey, dried mixed citrus peels, wax, oily oak, seaside fudge shop. Taste: Feather soft arrival, mouth coating and delicious. Building quickly, very intense, huge orange, intense European oak, intense spice, ginger and white pepper, lovely floral notes, orange blossom, orange oil, liquid candle wax, dried flowers, homemade paper. Very complex. Water: Softer. More spicy development, very oily, lovely oak and spicy ginger balance, more oily orange, waxy, floral. Finish: Long/Very Long length. Continues the orange theme, the oak recedes and the oily orange stays and stays. Beautiful. Well, it's pretty brilliant. What more is there to say?